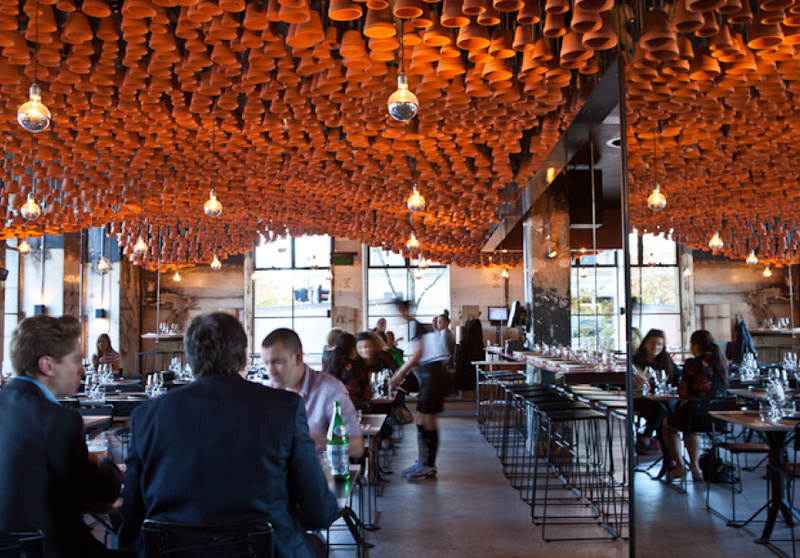 In the building that once housed the slick fine-diner Press Club, it’s immediately clear that owner George Calombaris (Jimmy Grants, Hellenic Republic) decided on a different route this time around. 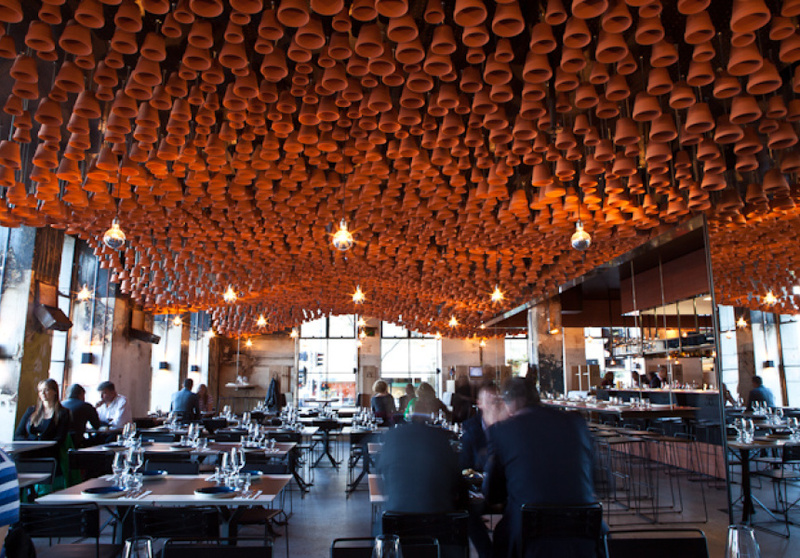 With a ceiling lined with a wave of terracotta pots and tables set with plates bearing the mati or “evil eye”, the casual atmosphere is a perfect companion to the Hellenic street food on offer. The rotating mix of dips is always a great place to start. From there you can move on to individual souvlakis with a few share plates, or try the vast meat selection which includes lamb from the spit or grill in hefty servings. Combine these with a few grain-based salads, or let the staff choose for you. In true Greek style, you’ll never go home hungry. It shouldn’t come as a surprise that the venue is named after Calombaris’ favourite neighbourhood in Athens. 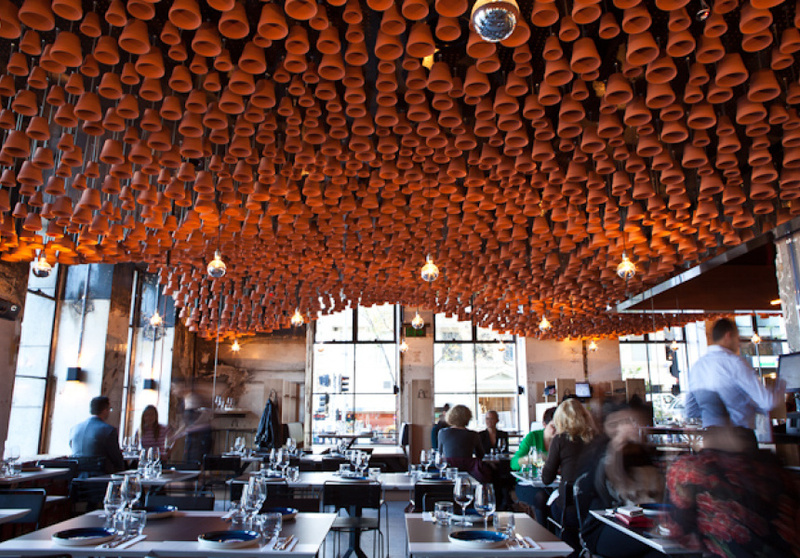 The venue is inspired by the city’s bustling ouzerias. With a bar that extends deep into the restaurant and wooden booths lining the windows, there’s a feeling of fullness to Gazi, even at the rare moments when it isn’t packed with raucous patrons. The restaurant takes reservations and also does takeaway, in the spirit of the everyday, get-it-quick nature of the food.